Took this picture at a regional Barnes & Noble store over the weekend. 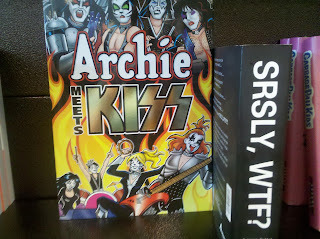 As a long-time Archie Comics reader (quit snickering) this mirrors my own opinion. 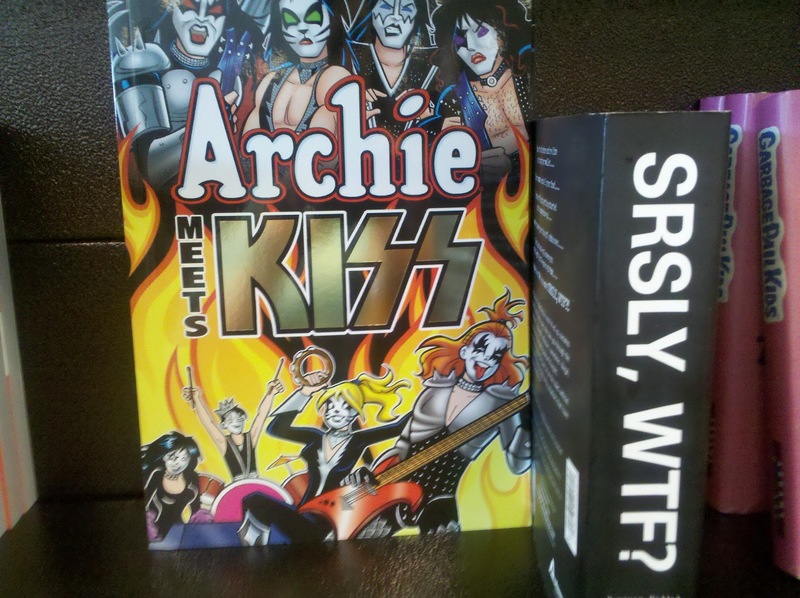 Labels: Archie, Betty, bookstores, humor section, Veronica, WTF? I often check out Internet TV before I fall asleep, but the other night I stumbled across a show from 1963 that woke me right up. The show was “Story of a Writer,” a half-hour episode starring famed author Ray Bradbury. This slice of history was better than cupcakes in bed, because not only did it feature a peek at Bradbury in his prime, it’s also a fascinating look at the successful writing life 50 years ago. First, the Bradbury fun. The episode tried very hard to make Bradbury seem normal, right down to performing magic tricks for the kids. That veneer starts to curl up at the edges when he admits a fear of automobiles, and when he brings his latest short story to his critique group. I have to admit, though, the other man in the group must have had balls of titanium to sit there and tell Bradbury his story was too downbeat, and the death stare Bradbury shot him could have Force-choked Vader himself. To me, the other star of the show was simply the history. If Gollum had been a bookworm instead of a jewelry fanatic, he would have wet himself over Bradbury’s home office, packed with books and file cabinets in a dimly lit basement. The basement has that isolated writerly feel which comes from the pre-Internet years of hoarding research materials and not worrying how the place would look on Skype video chat. It made me remember how the writing business was when I first started sending out poems as a teen in the 1980s, all paper and folders and months or years of waiting. I admit I felt a slight touch of nostalgia when I think back to how much things have changed. Only for a few seconds, though, until I check my e-mail or complete an article assignment without ever having printed out a single page. Throughout the show, Bradbury worked on a short story called “Dial Double Zero,” ultimately ignoring his critique partners and sending the story off via snail mail to his agent. Yes, he had an agent for short stories, one of two agents for his work. Ah, the magical Sixties. We also get a peek at his other office in Beverly Hills, which looks far less like a twisted Hobbit’s lair than his home office. Perhaps my favorite part, though, is when Bradbury answers questions from young writers during a lecture. Bradbury talks to them about passion and dedication, but what’s the one question every one of them wants answered? How much money they can expect to rake in from writing. The episode, “Story of a Writer” by David L. Wolper, can be viewed and downloaded at the Internet Archive. If you’re a writer or a science fiction fan, grab it and enjoy the time warp. Graham also features profiles of modern-day ghost hunters and mediums, plus urban legends, ghost stories, ghost-hunting checklists, quizzes and activities. Ever wonder how to use a pendulum or find spirits with dowsing rods? Plan ghostly parties with games, movie suggestions and nifty recipes? It's all in there. If this had been around when I was a kid, it would have received a place of honor on the bookshelf next to all my Nancy Drew books. I would have also been less scared and more informed when I had my own experiences with the paranormal. If you have adventurous children, boys or girls, get this book for them, or you can just get it for yourself, put on your comfy PJs and feel like a giggly 11-year-old again. 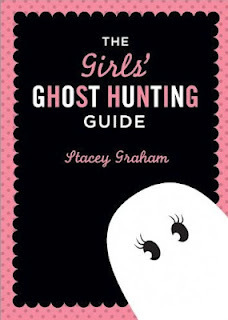 THE GIRLS' GHOST HUNTING GUIDE by Stacey Graham is published by Sourcebooks and available in paperback and PDF.